Reshan Dewapura holds a Bachelors Degree in Electronics and Telecommunications Engineering from the University of Moratuwa, Sri Lanka and a Masters Degree in Project Management from the George Washington University, U.S.A. He has been in the ICT industry for the last 25 years with almost 20 years experience in driving large, complex ICT programs and projects. 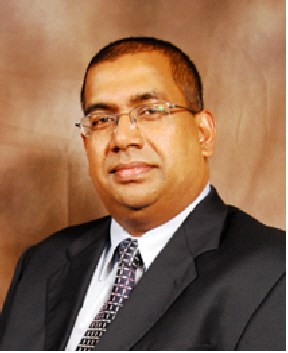 Reshan joined the ICT Agency of Sri Lanka (www.icta.lk) in July 2003, where he currently is the Chief Executive Officer. The ICT Agency is the apex ICT policy body in Sri Lanka, and the implementing organization for e-Sri Lanka (ICT led National Development initiative) and hence functions as the Office of the National CIO for the country. Reshan also holds Board Director positions at Sri Lanka CERT (www.slcert.gov.lk), as well as at LKNIC (Sri Lanka’s Domain Registry - www.nic.lk). He’s also a member of the International Advisory Board of the Centre for Development Informatics at the University of Manchester, U.K. (www.cdi.manchester.ac.uk), and a member of the Board of Trustees of Telecentre.org Foundation (www.telecentre.org). Immediately prior to joining the ICT Agency of Sri Lanka, Reshan worked with Hewlett Packard (HP) Professional Services in Europe, Middle East and Africa for almost a decade, where he managed some of the largest ICT out-sourcing projects for HP. During his tenure at HP, Reshan has been the recipient of HP’s Top Achiever’s Award for his outstanding contributions to the company.